In the context of the constant foreign trade cargo turnover increase in the sea ports of Azov, Black and Caspian Sea, the countries from these regions keep growing their transit potential and cargo freight effectiveness. 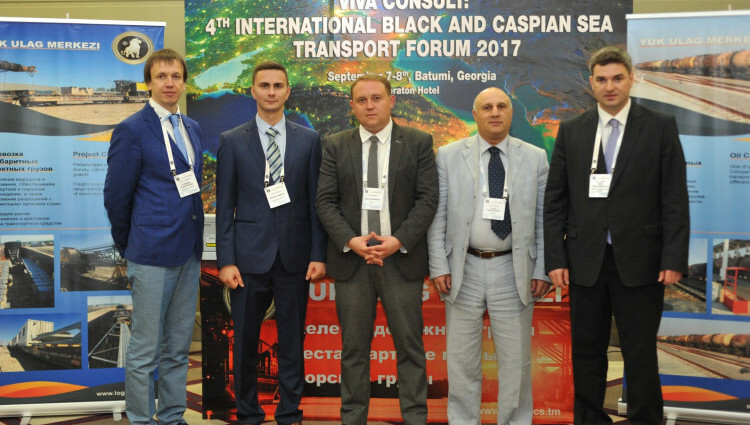 Endeavors of the Caspian Sea region countries, first of all Kazakhstan and Azerbaidjan, to improve their ports cargo turnover and infrastructure, provoke certain interest to transport logistics development in this region. Against this background Russian Caspian Sea ports look too feeble with their turnover decrease. At the same time other Russian sea ports from the Baltic and Black Sea region shave been in a steady growth. This situation makes the logistic effective solutions significantly important, making the regional players seriously talk for the best decisions. Development of the sea ports and terminals in the Azov, Black and Caspian Sea regions. Increase of the sea ports facilities capacity as one of the key aspects of a port significance on a transit route. Survey of container ports and terminals in the Black Sea. Development of the container terminal intermodal infrastructure. Service improvement. Railway container traffic between Europe, China and CIS. Prospects of the railway routes via Central Asia. Blockchain in logistics. Cyber security in transport logistics. Target audience: railways, portsand terminals, container lines, road carriers, forwarding agents, logistic companies, investing companies and banks.